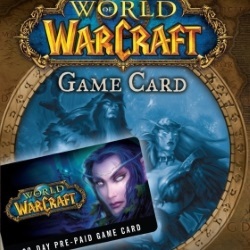 After payment, you immediately (automatically) get a photo of the WORLD OF WARCRAFT time card (Russian version) containing a 25-digit subscription activation code for 60 days of the game. 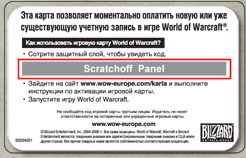 - Time card for the RUSSIAN VERSION of the game is not suitable for the American and European versions! 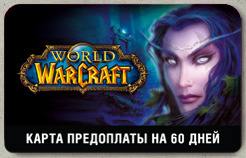 - A paid basic (non-guest) version of the game is required! Dear customers, your feedback is very important to us. Even the laconic "ok" is of great importance for us, and it does not take much of your time. Review our work, you can leave on the page with the product purchased.